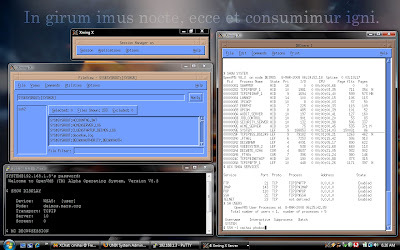 Wanna run some graphical OpenVMS applications? ssh -x or use Putty + MingW :-). X11 Forwarding is simple and easy to use. Just enable SSH on your OpenVMS box (UCX ENABLE SERVICE SSH) and make sure you've got proper keys generated. You can also just start individual applications.